THE FEELS. ALL THE FEELS. I want more, yet at the same time I am happy with just what I got. What a perfect, touching, beautiful book. Sydney seems to have it all - a perfect boyfriend, her best friend as her roommate, passion for the subject she is studying. And a mysterious boy in the apartment building across playing beautiful songs with his guitar. One day, she is caught listening to him and he signals her to text him. She hesitates, but the first text that she sends him starts a pattern than eventually leads to a norm, especially after Sydney learns that her perfect seeming boyfriend has cheated on her - with her best friend. Sydney is lost, but the mysterious boy with the guitar helps her and suddenly she finds herself with a new set of roommates - the bitchy Brigitte, the funny and sweet Warner and the mysterious, talented musician Ridge. Once Sydney and Ridge start to spend more time together, they form a connection and realize that there might be something between them. The problem just is, that they both have something that is keeping them apart, something or someone that stops them from acting up on their feelings. I am kind of ashamed to say this, but much of what kept me from picking up this book earlier was the fact that when I heard that the male protagonist is named Ridge, this is the image that game into my mind. Let me just tell you that that image disappeared quite quickly once I got to know the Ridge of this novel. He is charming, sweet, talented and occasionally adorably shy. But he is also conflicted and occasionally he managed to drive me crazy with his decisions and actions. But I guess feelings like that make a good book, because after moments of frustration, usually came moments of adoration and gushing. I love Sydney and would totally see myself being a friend with someone like her. She has been hurt by the people she has trusted on the most, and her heart has been broken and despite all the pain, she stays strong and positive. She finds solace from Ridge, but understand as well that she needs to be alone first and trust herself before she can learn to trust anyone else. She is talented, but unsure of her talent and there was just something so real and raw in her that instantly made me like her and root for her. The connection between Sydney and Ridge is INSANE and that makes the novel so much more frustrating on many occasions. I felt like screaming to the characters at points, while at other times I cried with them and wanted to just go and hug them. Reading this book was an emotional roller coaster ride I haven't taken in a long time. 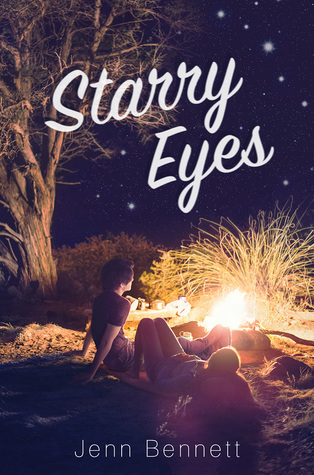 If you are looking for a fluffy, cliche romance book, this isn't the pick for you. The emotions in this one are raw and occasionally very painful. But most importantly, the emotions are real, which makes this book so special and meaningful. Since songwriting and music are a big part of this novel, there actually is a original soundtrack to the novel by Griffin Peterson. The moment I listened to those songs, I instantly felt closer to this story and these characters. And okay, I must admit that the moment I saw what Griffin Peterson looks like, I kind of started to think of him as Ridge, which totally did not cause any harm for my reading experience. 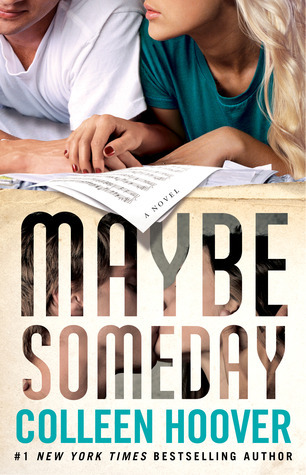 I want to recommend Maybe Someday to anyone, but I must warn that if you are not a fan of books dealing with issues like cheating, this might not be the best pick for you. But other than that, grab some tissues and be prepared for the FEELS.